The members of this Puerto Vallarta folkloric dance troupe told us that their name Xiutla translates to “place where the herbs grow.” Founded on July 27, 1994, these incredibly beautiful and talented local dancers have definitely grown up on the world stage. They travel and perform internationally throughout the Americas, Brazil, the United States, Canada, China and Europe sharing the richness and vibrance of their Mexican heritage and culture. The original group of 30 dancers has since expanded to include 320 children and young adults. Every Friday during the high-season months of November through April, Xiutla gives back to the local community with free performances in their native Puerto Vallarta, Mexico. Their colorful and enchanting 90-minute performances take place in the Romantic Zone at Lazaro Cardenas Park, with a start time of 7:30 p.m. (8 p.m. after the spring time change). Their director told us that for each and every event there is a completely different roster of dances, making each performance night unique. 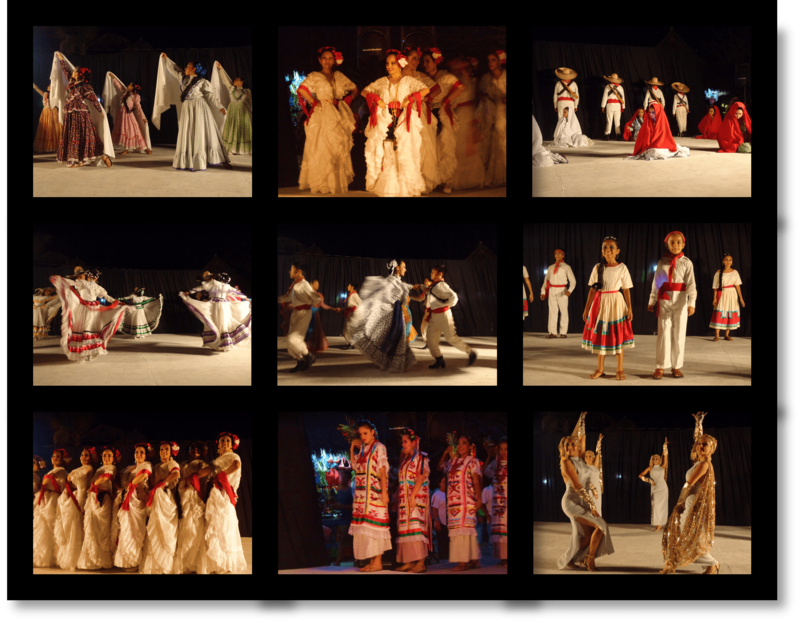 Additional folkloric dance performances occur on Sundays at 8 p.m. at the open-air Los Arcos Amphitheater at the southern end of Puerto Vallarta’s famous Malecon boardwalk. To help support this troupe’s travels, activities and dance costumes, donations are collected at the end of each performance. Xiutla Folkloric Dance Troupe in Puerto Vallarta, Mexico. Add a bit of culture to your Puerto Vallarta vacation by attending one of their spectacular evening events. As their folkloric dance performances are very popular with locals and visitors alike, to ensure prime seating it’s advised that you arrive at about 6:45 p.m. It’s recommended that you bring a camera as well as cool beverage, and possibly even a little snack if needed. Xiutla Folkloric Dance Troupe’s final event closing out the end of their spring 2014 season marked 1,610 performances over a span of 20 years.